Robert Luff & Co are delighted to present this incredibly spacious and extended detached bungalow ideally located on a generous corner plot on Western Road, within easy walking distance of Lancing beach and Brooklands pleasure park. A regular bus service passes along Western Road providing easy access to Lancing village centre, Worthing, Brighton and surrounding areas. 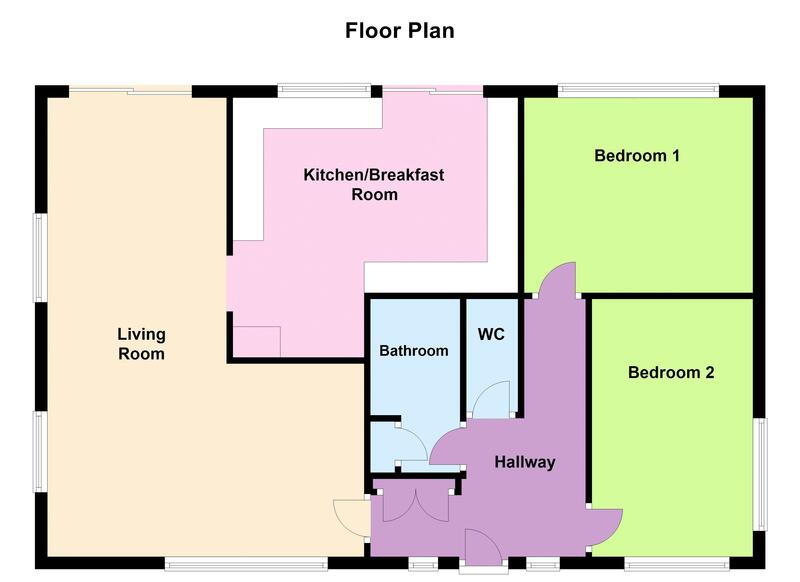 The accommodation comprises: Entrance hall, "L" shaped lounge/dining room, generous fitted kitchen/breakfast room, two double bedrooms, bathroom and separate WC. Outside there are beautifully maintained extensive gardens, driveway and a garage. Further benefits include gas central heating and double glazing. NO CHAIN. Six feature double glazed windows, loft access, radiator, coats cupboard housing gas and electric meters. Double glazed window to rear aspect, double glazed patio doors leading to the garden, range of matching wall and base units with fitted work surface incorporating a one and a half bowl stainless steel sink unit with mixer tap and drainer, double oven with electric hob and extractor hood over, integrated washing machine and dishwasher, space for fridge/freezer and tiled splash backs. Triple aspect double glazed windows, two radiators, TV point, ample space to dine, double glazed patio doors to rear and coved ceiling. Dual aspect with double glazed windows to front and side aspect and radiator. Panel enclosed bath with mixer taps and electric shower over, airing cupboard housing immersion and water softner, vanity wash hand basin, fully tiled, radiator and extractor fan. Fully tiled walls and floor, extractor fan and low level flush WC. Patio, laid to lawn, various plants shrubs and trees, fence enclosed with side access via gate. Greenhouse, flower beds, timber shed. Laid to lawn, various trees, flowers and shrubs, pathways to front door and side access. Up and over door, double glazed door to rear.